Source: Via the author in exchange for review. I went into Amaranth with magical expectation. 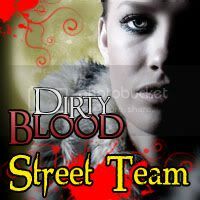 Southern Louisiana, Hoodoo and Vampires sounds like perfection to me. But I finished feeling a little bit let down. Our main character, Camille, settles down in Southern Louisiana after running from an abusive relationship. After 2 years and another abusive boyfriend in her new home, she meets an unexpected stranger. Once Camille and Gavin's paths cross, her world is turned completely upside down. She's introduced to another place and creatures that she never knew existed in real life. I wanted to like Camille, I really did. But I found her really hard to relate to. She's gone through so much abuse in her lifetime. I just couldn't understand her ability to fall in love with Gavin so easily. Especially when he always acted so shady. I did like Gavin. He always had good intentions, He just didn't execute things properly. I felt like the story progressed to quickly. Once Camille found out the Gavin was a vampire, BAM!, we're thrown into the fight of our lives. Amaranth is the hidden world for reformed vampires and they believe that it also holds the cure. 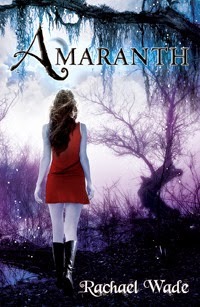 Amaranth was very fast paced and a quick read. I made it through in one sitting. I absolutely loved the plot for this story. I just closed the pages feeling like I could have learned so much more! Rachael Wade's writing style was easy to follow. The only real "peeve" I had was that the story contains the phrase, "I let out the breath I didn't realize I was holding." TWICE! I loathe that phrase. Overall, Amaranth was a good read. It has a great story line and some really good characters. I just wish we'd had the chance to learn more about them. This is a series, so perhaps that's something that improves in the next couple books. At some point I may continue on with The Resistance Trilogy but for now, I'm good with stopping at Amaranth. Nomad by J.L. 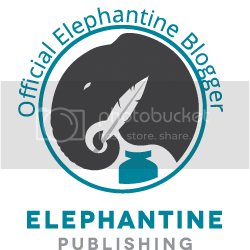 Bryan: Excerpt + Giveaway! read 0 books toward her goal of 100 books. All of the written content found on this website is the property of Geek Glitter. Please do not use any quotes or phrases from written reviews without permission. All images used are made by me, unless otherwise stated. Book covers belong to their respective author and are taken from GoodReads. I receive no monetary compensation in exchange for my reviews. Books/Products were purchased by me, unless otherwise stated. I always offer my honest opinion regardless of how I acquired the book/product. 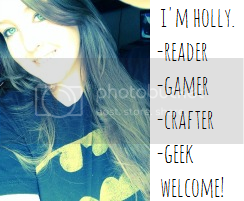 Copyright © 2011 - 2013 Geek Glitter.